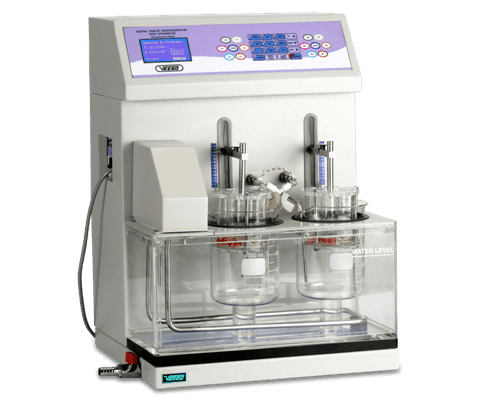 Disintegration Test Apparatus determines whether tablets and capsules disintegrate within a prescribed time when placed in an immersion fluid under prescribed experimental conditions. One basket can be deactivated while other is operational. Supports test for Enteric-coated tablets or Delayed Release Tablets. Memory to store 95 tests method parameters. 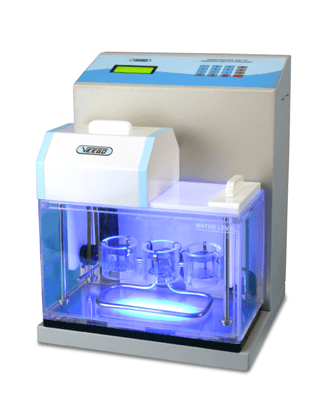 Wobble and vibration free instrument. Two station basket assembly can be controlled, started and stopped. Each basket can be operated on individual basis. Quick receptive temperature probe for temperature monitoring. Two station basket assembly can be controlled, started and stopped simultaneously. 4 station basket assembly system. Baskets can be individually programmed and operated. Large LCD screen to display test paramters. Designed for the estimation of Disintegration Test Time for Suppository & Pessaries only. 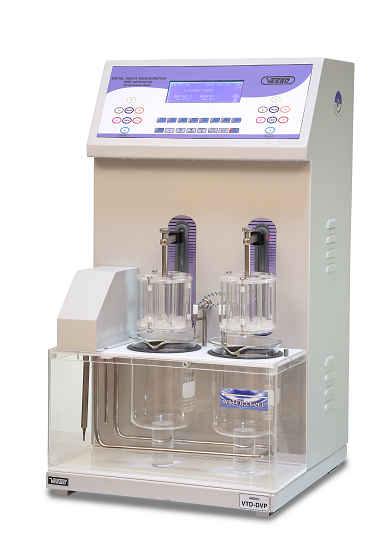 Meets the requirements of the valid IP/BP Pharmacopoeia. 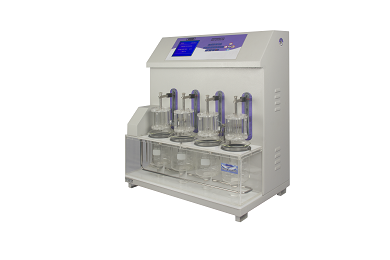 Three samples are tested at the same time. 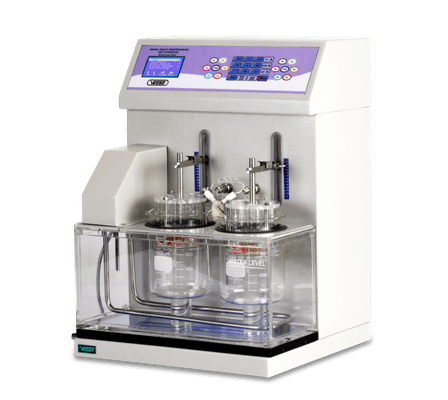 Veego Instrument Corporation manufactures high quality scientific equipment and devices which provide quality performance. 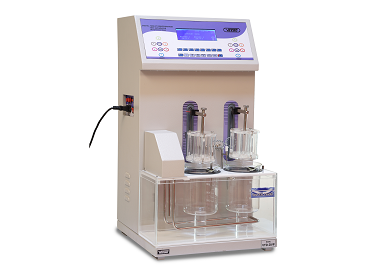 Our precision devices and instruments provide accurate readings. Our products are known for their precise control of parameters and long-term reliability. The utility of our product is in various QC and R&D Laboratories of Pharmaceutical / Chemical / Food / Petroleum / Oil and other Industries.